Would love to take credit for securing this piece on the amazing ladies of Dagne Dover in Fast Company. Alas, I can not. But, has been a privilege working with them through several seasons and collections, introducing their bags to women (and men) who fall in love with the practically designed, simple but chic bags every day. 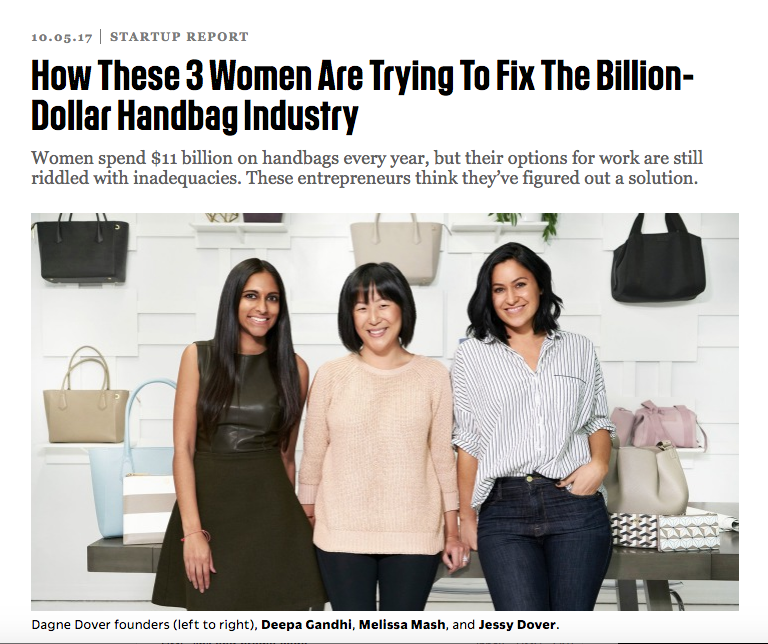 And I love this well-deserved article on the ladies behind the bags I often talk about – and am usually carrying.